Thanks to all who commiserated or had feedback regarding my positioning laments. There were some really great tips and tricks from everyone, as well as some comments that perhaps my chair seat is not as terrible as I previously thought (phew!). I remain suspicious of the saddle, and from Amanda and Olivia‘s perspective, perhaps rightly so. My leg does tend to bump up against the back block when it is completely underneath me. 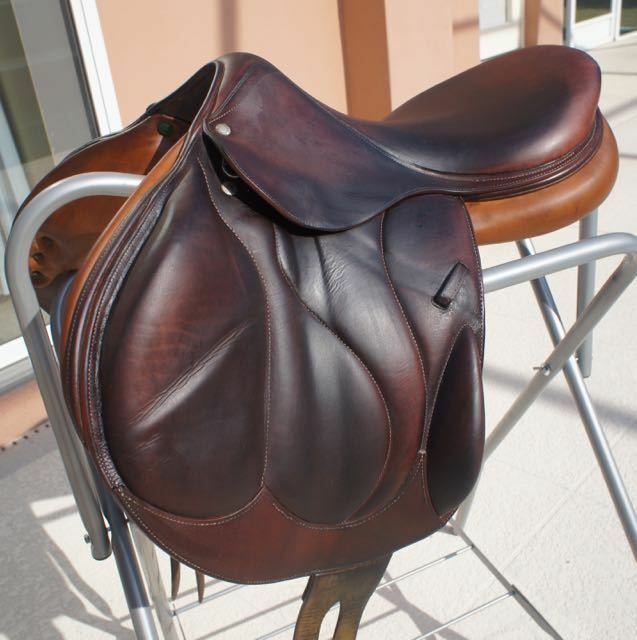 So whenever I get a new pony, a new saddle might have to be added to the list. Of course, who knows if my saddles would even fit the future beastie anyways, so it may be a moot point. I did take a tip from a friend and try finangling my stirrup bars a bit. I grabbed some old martingale stops, cut the pointy ends off, and slid them onto the front of the stirrup bars. The result was a stirrup that was positioned a solid half inch back from its former placement. It’s minor, but it was worth trying. So with that and your other comments floating through my mind, I hit the saddle. My first impression was that yes, it was easier to keep my leg back a bit. I practiced two-pointing at the walk (per Allison– though I weenied out about the rest) to get my weight in my heels and work on that lower leg muscle memory. Trotting about felt pretty easy peasy and I was relieved that I didn’t feel unbalanced unless I got a big pony surge out of Riley, but I don’t attribute that to my lower leg woes. After: Note my calf up against the block, and also… neck strappage! When I got to the canter is where things got a bit mixed up. A la Austen‘s comment, I focused on keeping my toes in and my calf on. I concentrated on stretching my torso up rather than forward, and relying on the neck strap (um, all hail the neck strap! totally converted now) when I felt a bit unbalanced so I didn’t pull on Riley’s mouth. I felt like I was doing OK until my right ankle rolled in the stirrup. Apparently I put enough weight onto the outer part of the stirrup tread that even with a brace on, my ankle gave out. Let me tell you- ouch. After that, riding was useless and walking was painful. I ended on a good note and hobbled back to the barn. WebMD (dangerous, I know) confirmed my thoughts that I had a high ankle sprain, and I spent the night icing the bejeezus out of it and taking it easy. Luckily it was feeling better a couple days later and I was able to give it all a go over fences. Even more luckily, the ankle sprain seemed to be mostly relieved and I was able to two point at the canter and jumped Riley around a course. 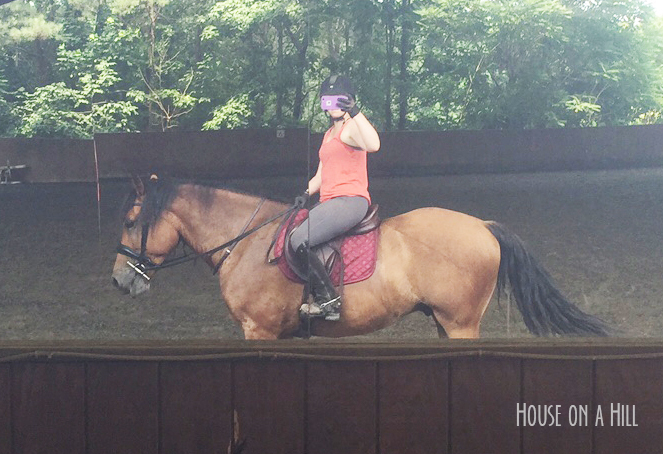 I threw in a little 2 stride crossrail combo and a 2’6″ oxer and found that he was totally game and I wasn’t falling all over the place. My ankle still is a bit painful, and I’ve invested in some wraps for myself to substitute for the brace (which really only supports the outside of my ankle) and see if even support helps. Overall though, things are on the up and up. I feel less like Humpty Dumpty in my jump tack and I’ve got some great ideas to work on my position thanks to all of you guys. I’ve got another expensive bit of equestrian treasure added to my want list (the Devoucous Chiberta- thanks Amanda), which you know, I’ll purchase somewhere between or after getting a new horse and a new truck. Better start selling my plasma or something. I hope to jump again this week if the weather holds, and see if everything from the weekend (other than the ankle discomfort) sticks. Chair seat, be gone! Ouch! Glad you’re on the mend, sprains are no joke. 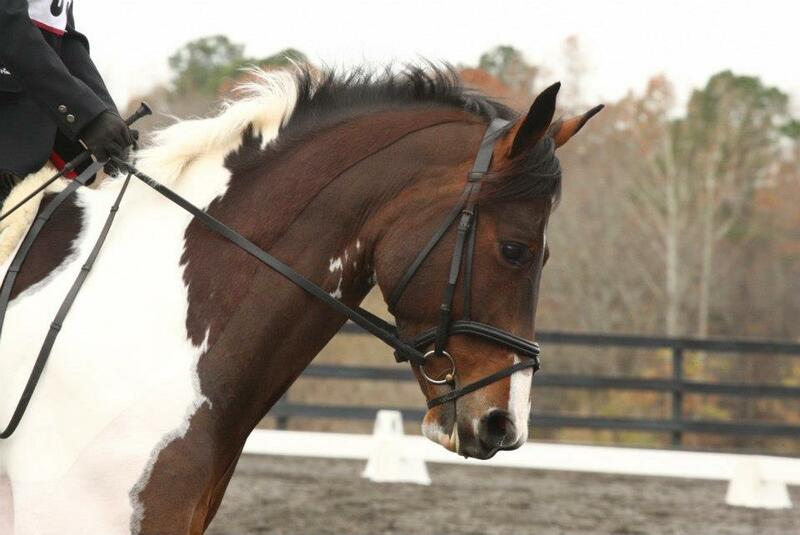 Also, SUPER impressed with your crafty skills, I never would’ve thought to put martingale stops on the stirrup bars. I take no credit for the idea, but it did seem to help! So you put the martingale stops at the front of the stirrup bar? I’m so intrigued by this! Yes! I had this kind of stopper handy, so I cut off the pointy ends and slid it onto my stirrup bar, then followed with the stirrup. There was room enough for the stirrup to sit back a bit on the bar and still have the safety mechanism in the correct upright position. You could probably also use these stoppers without having to modify them at all. It definitely does look like your leg just kind of sits in a better place on its own with the different placement, but I can see how that block actually gets in the way more than it helps with your leg there. That’s crazy that you rolled your ankle in a stirrup! 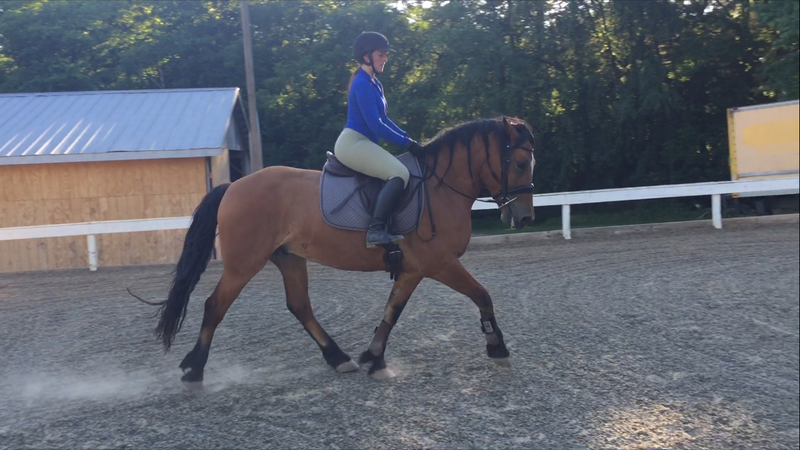 I know I’m coming to this a bit late but there was a great post on the bad eventers blog last year about the benefits of lengthening your stirrups a hole or two if you are getting left behind. Ouch about the rolled ankle!! Also I managed to miss the original post but basically have found the blocks very seldomly work for me – I fuss and move them around (when possible) and ultimately rip them all out and am happier for it.